China calls it the “Diamond Decade” program while Japan deems its efforts as the “Mekong Five” initiative, both of which are aimed squarely at the ASEAN’s five nations nestled along the Mekong River (Vietnam, Cambodia, Laos, Thailand and Myanmar). An energetic trade relationship with these five countries could spring Japan out of the financial doldrums it’s wallowed in for the past two decades (See: Emperor of All Robots Put to the Test); for China it’s an even more important slice of contiguous geography where enormous riches in people (half billion plus) and products await. Smack in the middle of it all is Thailand, which is smack in the middle of importance for both China’s “Diamond Decade” and Japan’s “Mekong Five”. Thailand could well serve both and be much the better from the twin efforts. By extension, a burgeoning Thailand could well advance prosperity for its other Mekong mates, the lone dissenter being Vietnam, which seems to be powering up on its own spiked by multi-billion dollar trade deals with Korea. Already the largest robot purchasing country in the ASEAN by far, Thailand is on the verge of enhancing robot-driven automation further into industry and logistics, but also, with its world-renowned reputation in healthcare and surgical medicine, it could well become a hub for medical/surgical robotics throughout the region and beyond. ​Hirunya Suchinai, secretary-general the Board of Investment of Thailand (BOI) agrees, saying that the BOI is focused on attracting Foreign Direct Investment (FDI) to Thailand to cultivate industries offering value-added products and services in five new industries: industrial robots, aviation, biochemicals and energy biochemicals, digital and medical. All of which worldwide are tilting toward manufacturing automation. The BOI’s new emphasis on these five new industries heralds an even steeper ongoing increase in the import of robots and automated machinery. About the size of France with 68 million people, Thailand is the Mekong GDP champ with $395 billion; its closest rival is Vietnam with $171 billion. It leads by far as well in per capita GDP with $5,700 in the five-country region of 232 million. And the World Bank forecasts its 2016 growth at 2.5 percent. 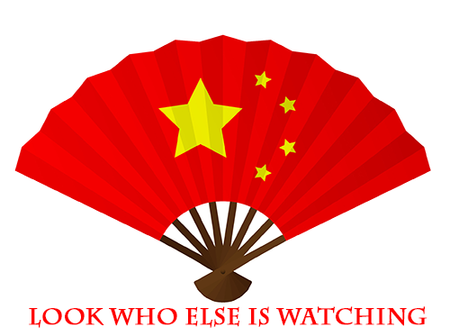 Now that the uncertainty and craziness of the 2014 coup has subsided, which had chilled both China and Japan’s ardor for two years, doing serious business with its two largest trading partners is back in vogue. If Thailand can somehow extend this sliver of social tranquility and political calm out for five years to a decade, it has the industrial and technical chops plus the requisite natural resources to elevate itself to preeminence among all the ten nations in the ASEAN Community. Japan has been eyeing Thailand since 2012, ever since Prime Minister Shinzo Abe came to office and first promulgated his “Mekong Five” initiative. Japan has lately returned to that initiative with renewed vigor. Although last year’s investments by Japan in Thailand dipped by 81 percent, mainly because of uncertainty resulting from the coup the previous May by then General Prayuth Chan-ocha (now Prime Minister), Japan is now back. Even with the 81 percent investment shortfall, “Japan still came up tops in Foreign Direct Investment (FDI) in Thailand last year, with total investments approved valued at more than $4.13 billion. Typical of the regional importance and clout of Thailand in the Mekong region, Japan’s SONY converted a plant flooded in 2011 (in Pathum Thani) into the company’s first handset factory outside of Japan since 1995 (way before cellphones got smart). Masashi Imamura, SONY’s executive vice president and corporate executive officer, calls the new venture the “Thailand plus one” smartphone production plan. Thai Deputy Prime Minister Somkid Jatusripitak, adds: “Thailand wants to bean economic hub to develop along with CLMV [Cambodia, Laos, Myanmar, and Vietnam], which would translate to ASEAN’s development as well.” To that end, he said, the Thai government will be launching a $2.83 billion infrastructure fund. 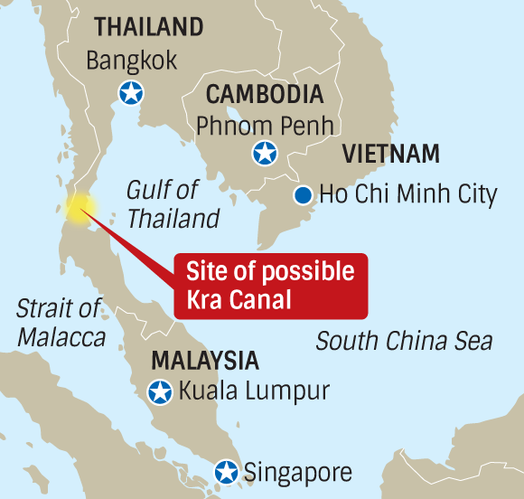 Alternating interest and pledges from both Japan and China have centered on financing the building of a canal through Thailand’s Kra Isthmus (see map) that would join the Gulf of Thailand and the Indian Ocean. Such a project, if and when completed, would open up new shipping routes offering an alternative to Singapore and the Strait of Malacca. For East Asian countries, a Kra canal could shorten the route to the Indian Ocean by over 700 miles or two to five days ocean travel, cutting the cost of a 100,000-ton cargo ship voyage by about $300,000. 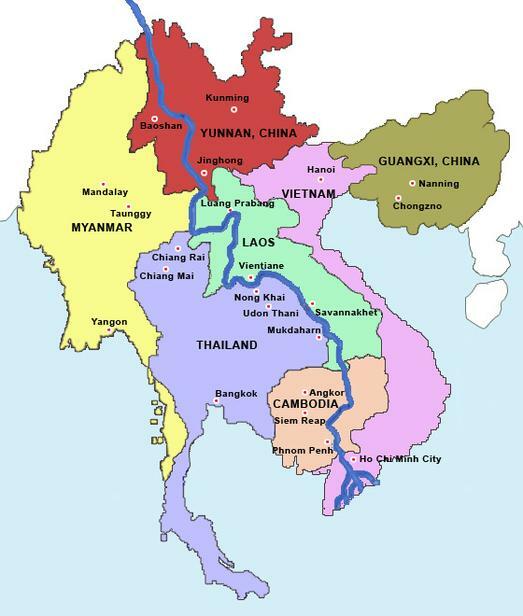 A Kra canal would also open trade routes for Myanmar to all of Mekong Five as well as East Asia; Vietnam would get the same opportunity in reverse, straight through to India. Food for thought: On average 217 vessels per day transited the Strait of Malacca waterway in 2014. China’s Xi Jinping is rumored to be very interested in such a project to complement his One Belt, One Road initiative. Japan’s Global Infrastructure Fund (GIF) conducted a feasibility study, which estimated a cost of $20 billion for a 50 kilometer canal across the Kra Isthmus. Thailand has been busy getting ready for any impending success for years now. Specific to that end are the infrastructure projects catering to its economic zones of business-ready industrial estates—strategically placed around the country for best effect—some with new, pre-built logistics centers and factories, totally empty and waiting for occupants. Hemaraj Land Development is maybe the biggest and best Thai conglomerate building out the necessary infrastructure for these ready-made, turn-key industrial estates. Hemaraj has built and operates eight geographically dispersed estates. Water, sewer, electric power, gas, roads, easy access to highways and then to deep-water ports are all planned for and built into these industrial estates. All are turn-key operation facilities, for the most part. The Hemaraj industrial estate in seaside Rayong has the logos of Ford, Caterpillar, Electrolux and a dozen others poking into the tropical sky above brand-new facilities. Brad Johnson, general manager at the Caterpillar plant was brought in from Caterpillar’s Chinese operations to run the Rayong facility. He’s looking forward to a future of building Caterpillar tractors to ship from Rayong’s Ta Phut deep-sea port for building and infrastructure projects for the Mekong Five, especially Myanmar. For Thailand, when the dozers are done, it’s time for automation to show up.